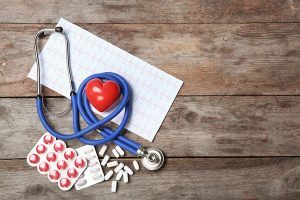 Research presented at the recent ESC2018 shows that low-dose rivaroxaban in patients with worsening heart failure, sinus rhythm and coronary disease does not reduce the rate of death, myocardial infarction or stroke. Low-dose rivaroxaban, when used in combination with antiplatelet agents, have successfully reduced risk of mortality in patients with stable CADs. However, low-dose rivaroxaban has not been explored in patients with worsening heart failure. Therefore, COMMANDER HF looked at treatment of rivaroxaban, a factor Xa inhibitor, in patients with worsening heart failure and underlying chronic coronary artery disease. After a median follow-up period of 21.1 months, there was no significant difference in all-cause mortality in the rivaroxaban or placebo groups (21.8% and 22.1%, respectively). During a Meet the Trialist session at the ESC2018, Principal researcher, Faiez Zannad, M.D., stated that it was likely that thrombin-mediated events are not major factors involved in heart failure. He said that the impact of antithrombotic treatment is likely to be of small benefit because the contribution of thrombotic events to the totality of events in this patient population “is relatively small”. Splitting antithrombotics into antiplatelet and anticoagulants is somewhat artificial as platelet activation and thrombin genesis are interdependent. Both classes have antithrombotic effects, but different efficacy, depending on the thrombus “phenotype” (i.e. formed in a low pressure-low flow chamber as atrium or in low pressure high flow conduits as veins or in high pressure high flow conduits as arteries). Thrombin genesis is activated in heart failure with reduced ejection fraction (HFrEF) with deleterious consequences on disease progression. It is therefore not surprising that rivaroxaban, a specific anti-Xa agent demonstrated better outcomes in patients with HFrEF compared to those without heart failure, in subjects with recent acute coronary syndromes (ATLAS ACS2-TIMI 51) as well as in those with chronic coronary artery disease (COMPASS). The hypothesis that a small dose of 2.5mg/day added to antiplatelet therapy could reduce death and cardiovascular events in patients with HFrEF but without atrial fibrillation was tested in the recently communicated COMMANDER study. Enrolling high risk patients after recent hospitalization for HFrEF, this study failed to demonstrate a benefit in the primary end-point of global mortality, myocardial infarction and stroke. However, a 34% reduction in stroke was obtained. Study investigators assumed that in this population death was mainly driven by heart failure and not by atherothrombotic events. Another explanation could be linked to the small dose used during the study. Of note, previous studies with AVK in same setting did not demonstrate improvement in outcomes.